In front of an area where traffic is present. In front of an entrance/exit to and from a staircase or multi-level crossing facility. Entrance / exits at public transport terminals or boarding areas. Sidewalk section of an approach road to a building. Guiding path from a public facility to the nearest public transport station. Dot-type block give a warning signal. They are used to screen off obstacles, drop-offs or other harzards, to discourage movement in an incorrect direction, and to warn of a comer or junction. Line-type blocks indicate the correct route to follow. In rural areas, stones of different sizes may be used to separate the road from the kerb, and to indicate the approach to public places. 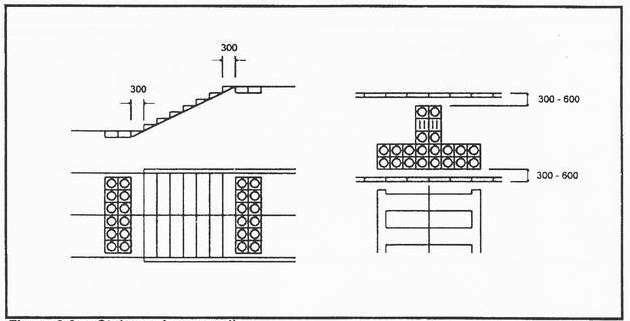 Figure 3.3a : Types of guiding blocks. Figure 3.3b : Diverse arrangements of guiding blocks. 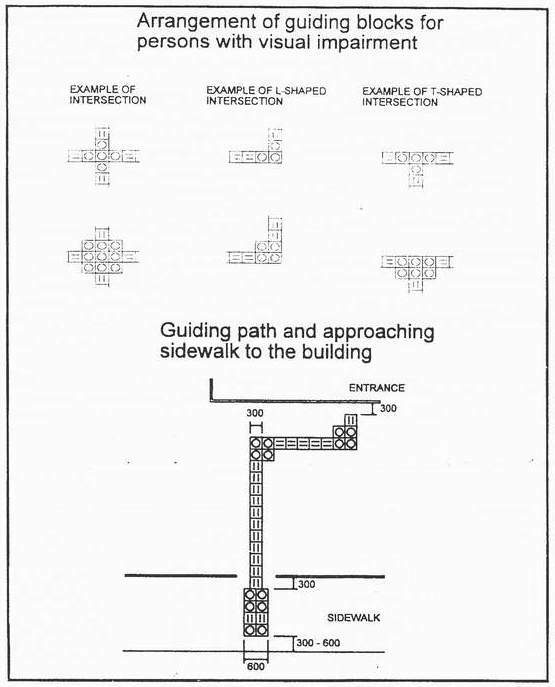 Figure 3.3c : Stairs and crosswalk.